I started making a chart a few weeks ago. The chart has three columns. Column 1 – each position on the roster. Column 2 – players who could be part of the team’s plans in 2017. Column 3 – players who will be part of the team’s plans in 2017. Why did I start doing this? Because I thought it would be important to track the development of younger players and monitor just how many holes the Bears will still need to fill come the end of the calendar year. For instance, a player moving from column 2 to column 3 would show growth; moving in the opposite direction would mean things are going in the wrong direction. Think about the 2017 Bears on offense. They have good tailbacks. Jordan Howard is big and physical. Jeremy Langford is shifty and versatile. Ka’Deem Carey is looking like a solid change-of-pace option for either player. 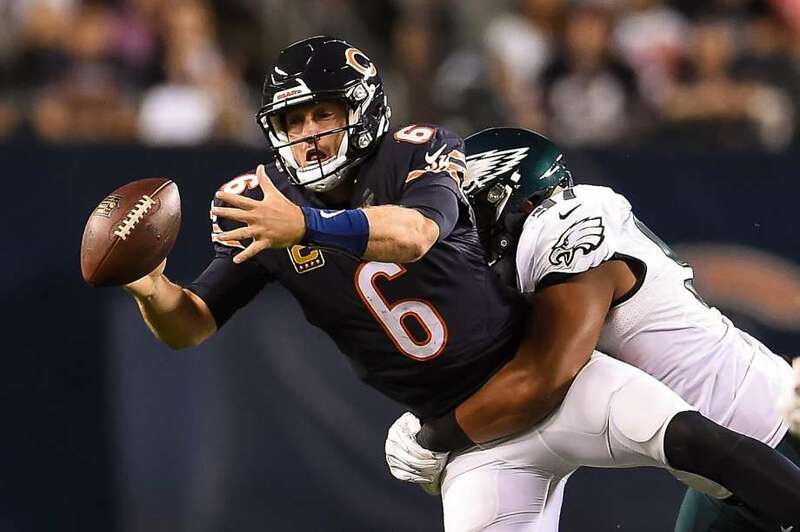 At this point, it’s a legitimate question: Why should anyone be optimistic about the Bears? And at this point, it’s hard to find an answer. I’d like to tell you it wasn’t as bad as it looked on Monday night, but that would be a lie. It was every bit that bad and probably a little worse.